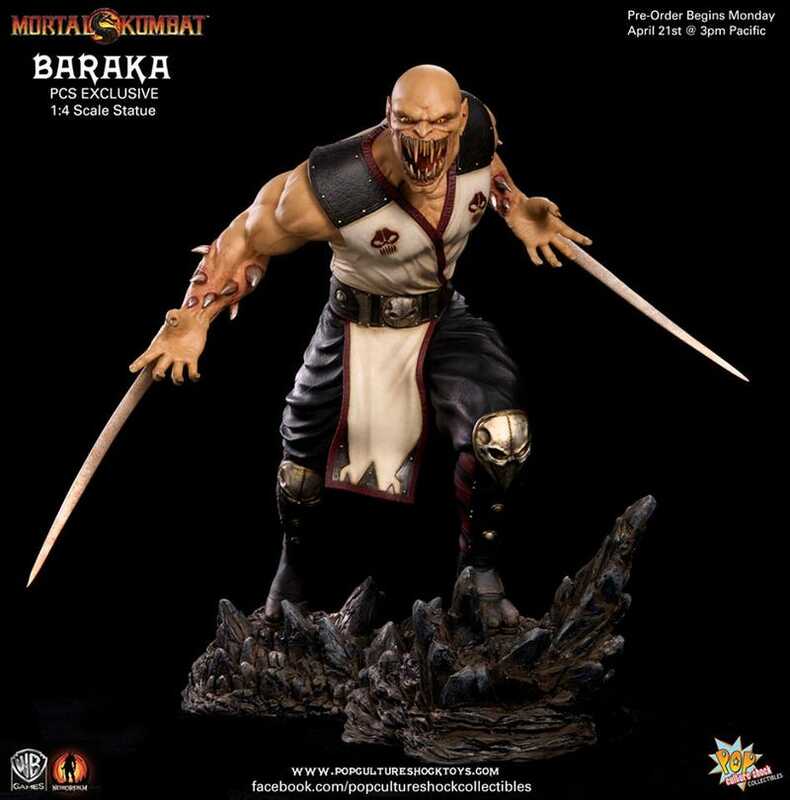 Pop Culture Shock's new Baraka sculpture comes in the mundane $360 version, and the limited edition with two sets of arms. Both 17.5" statues will be available for preorder April 21. Via Tomopop.